When we talk about best printer to choose from, obviously it can be a little bit of difficult job for us because there are number of printers are available in market these days. Today i will share about few printers out of which you can select printers with correct model and type. According to need which printer you should go? We can very easily categorize the printers for their useful methods based on the purpose of printer, technology and intention to use printer i.e. either for home or for office. If, you will keep these three things in mind then I am sure you will on the right path to get a suitable printer for you. Maximum printers include many inkjet printers which also known as printers for general function or purpose, there are commonly using in photos, text printing and for graphics work. Printers with special purpose consist of portable printers, dedicated or like dedicated printer and laser-printers. 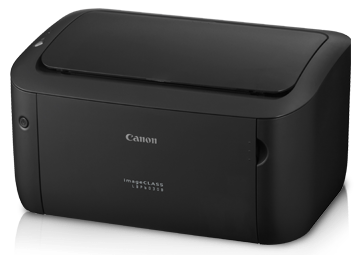 If you are in search for a printer for print, photos etc., acknowledge either want to print for photos only or you want a printer that can also perform other tasks other than print photos. Printers for general purpose aim to target for photos if they designed for use in homes or for text if they designed to use in offices. 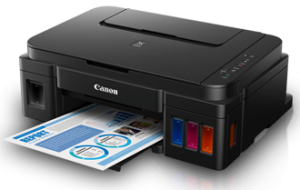 There are many printers are available in the market who are designed for dual purpose like for homes and as well as offices but ultimately it depends upon your usage of printer. Two famous technologies for printer i.e. Inkjet and laser printers progressively go beyond in ability to perform but still there are disparities. The most important thing is that printing by approx all laser printer is of superior quality rather than any inkjet printers and inkjet printer print superior quality photos overcoming of most of laser printers. So at the end it is you who need to decide which technology for you is best, Inkjet for photo printing or laser printer for text printing. What you need Multi function printer or single function printer? If we talk about general-purpose printing, extra efficiency means choosing an MFP or Multifunction printers, also known as an all-in-one or AIO. It includes other features like faxing from system and email scanning. Normally printers in offices add an ADF or automatic document feeder for scanning, copying, faxing number of pages and pages for legal size. Few automatic document feeder or ADF can also hold documents with two sides. It can scan one side of document then flip the page after that scan other side of document or it will apply two sensors in order to scan both sides of document on a single time. Few Multi function printers providing extra printing options also, Like printer who are Web enabled, available for both home and as well for office, we can directly connect them to internet with the help of Wi-Fi in order to access and take print of the selected or chosen content, you do not need to do any work and you can get it from your computer. There are number of multi function printers which enable you to print images and documents with hand controlled devices. Few models of printers are there which will enables you to email your documents to your printer, after that you can take print of them. Do You Need to Print in Color? If you want the printer for home use only than you may need color but if you want in office where you need to print documents only than you do not need to go for color printer. The best thing to save more money on color printing when it comes to print handouts and brochures, you should choose going to nearest printing shop as it saves you more money than printing on your own printer. How Much Space Do You Have for Your Printer? You need to make sure what the size of your printer is, May be few home printers can be that large they cannot adjust with your desk, and printer are also available which are small and will be easily adjustable. On the other hand, these days’ numbers of printers are increasing day by day which are coming in very compact sizes who can adjust very easily into the small area of your apartments, offices, homes etc. Along with USB port on printers, Ethernet ports are available in many office and home printers these days; hence very easily on network you can connect your printer. Most are available with Wi-Fi efficiency. Even it’s not available in printer and on your network you have the facility of Wi-Fi access point, you will be able to do printing on your network with the help of Wi-Fi, even if your printer provides the facility of Wi-Fi or not. 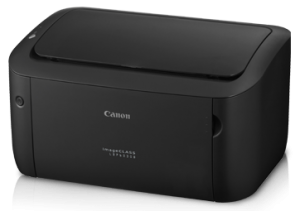 Printers which are coming with Wi-Fi features they can directly connect with the device who is Wi-Fi, even though your computer cannot support the facility Wi-Fi Direct. There are printers available in the market which can be connected to our mobile phones and can print with the help of NFC or (Near Field Communication) by selecting the tablet or phone to a specific mark on printer. Printers differ according to quality of their output. You need to take care of many things at the time of printer selection separately like photo printing, text and graphics; even then it does not mean the output for one thing form a high quality printer is also same for the other things. If your requirement from a printer is to print only few pages like one or two then perhaps you do not need that printer which can print fast but if you need to print long and number of documents and pages then surely speed matters a lot. It means you are in need of a laser printer. According to claims, laser printers claims for faster speed to print text documents which don’t require more processing time. Even Inkjets printers sometimes claim to provide faster speeds than more costly laser printers, but normally they cannot prove their claims.